Who won Super Bowl 53? I don’t know. Sunday was spent at the Capital Trade Show selling more comic books. It’s a lot of work and I was pooped by the end of the day. I went to bed in the middle of the third quarter with the Patriots leading 3 to nothing and the Rams unable to get any offence going. Congratulations to whichever team won. Tomorrow is Chinese New Year. I wish you all a happy and healthy Year of the Pig. I must remember not to wash my hair. Ancient Chinese tradition. Oink. 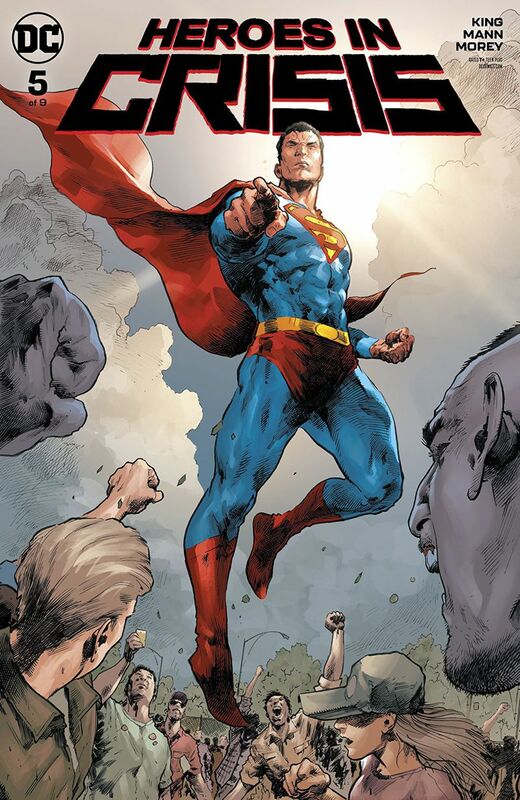 Action Comics #1007 – Brian Michael Bendis (writer) Steve Epting (art) Brad Anderson (colours) Josh Reed (letters). Leviathan Rises part 1. A new story starts here. 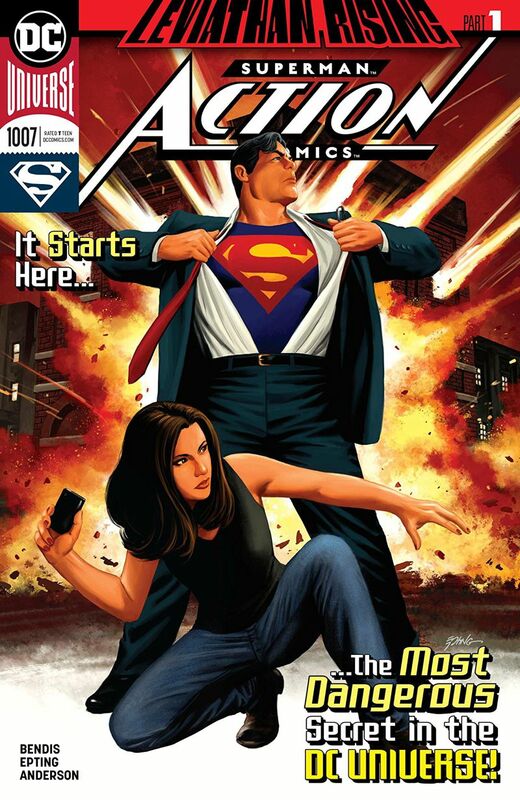 Brian brings the big Hydra menace from the Marvel U to the DCU by featuring the rise of Kobra to keep Superman busy. Lois reveals a HUGE secret that I’m sure will have ramifications in the future. I think Steve Epting is underrated. His work on Velvet with Ed Brubaker was outstanding so you should check this out. It’s pretty much all set up, but it’s good to get on the ground floor so that you know what’s going on. 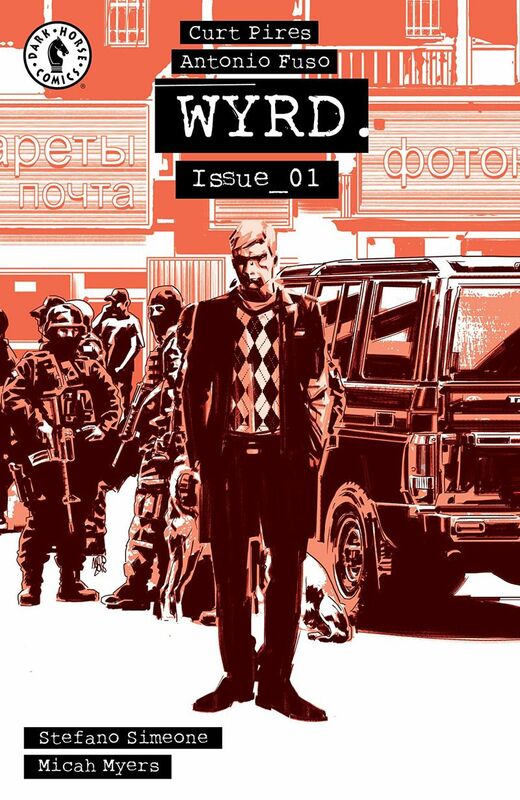 Wyrd #1 – Curt Pires (writer) Antonio Fuso (art) Stefano Simeone (colours) Micah Myers (letters). I decided to read this because Antonio Fuso does a very good imitation of Michael Gaydos art. The art isn’t the only thing that I found familiar. This new character reminded me of John Constantine with the smoking and mysterious powers. Wyrd is definitely weird but there was nothing new here to make me want to find out more about the man. 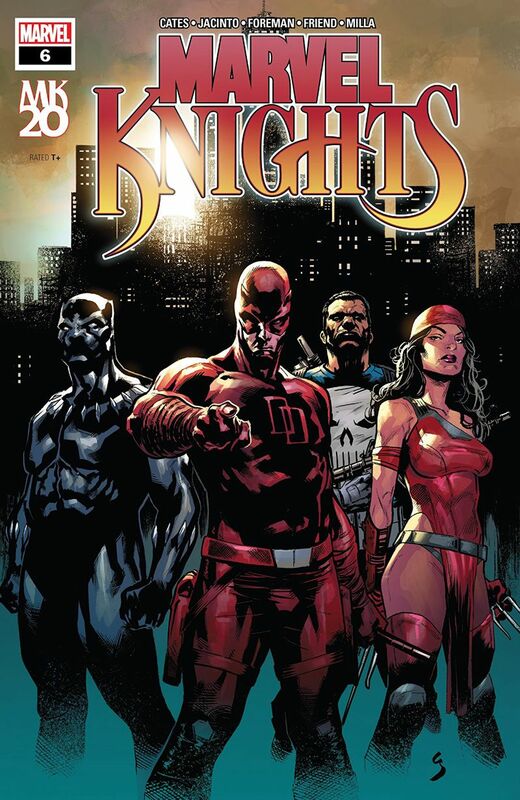 Marvel Knights: 20th #6 – Donny Cates (writer) Kim Jacinto & Travel Foreman (pencils) Kim Jacinto & Richard Friend (inks) Matt Milla (colours) VC’s Cory Petit (letters). This 6-issue mini started out with such promise but I felt like it ended with a whimper. The heroes win and everything goes back to normal, the end. This is the kind of ending that makes fans regret spending all that time and money reading a story. 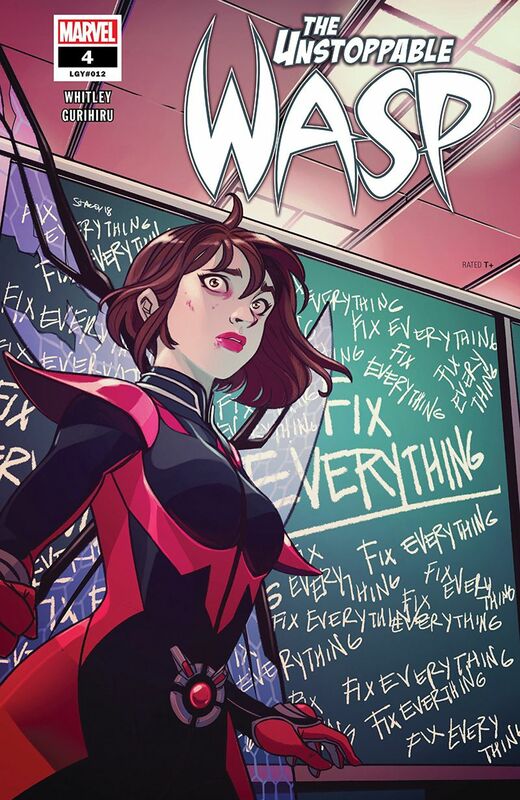 The Unstoppable Wasp #4 – Jeremy Whitley (writer) Gurihiru (art) VC’s Joe Caramagna (letters). Bell is doing its “let’s talk” campaign today (Wednesday, January 30) to bring attention to mental health issues. I wonder if it’s a coincidence that this comic book has Nadia acting manic trying to solve everyone’s problems. Joe earned his pay cheque this issue with all the dialogue and captions. 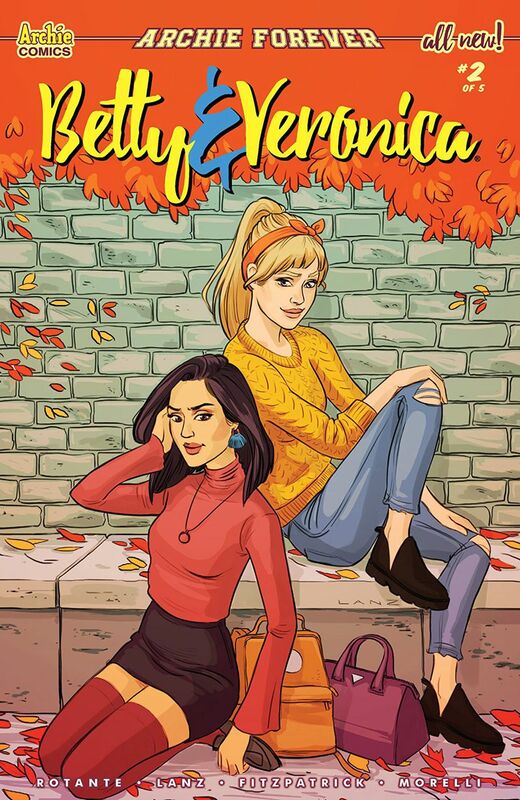 Betty & Veronica #2 – Jamie Lee Rotante (writer) Sandra Lanz (art) Kelly Fitzpatrick (colours) Jack Morelli (letters). They lost me with this issue. I don’t mind a bit of soap opera drama in a story about two best friends but the situations that the girls are put in seemed too contrived for my liking. I would have been more forgiving if the art appealed to me more and stuck around to finish the 5-issue mini but I can’t. 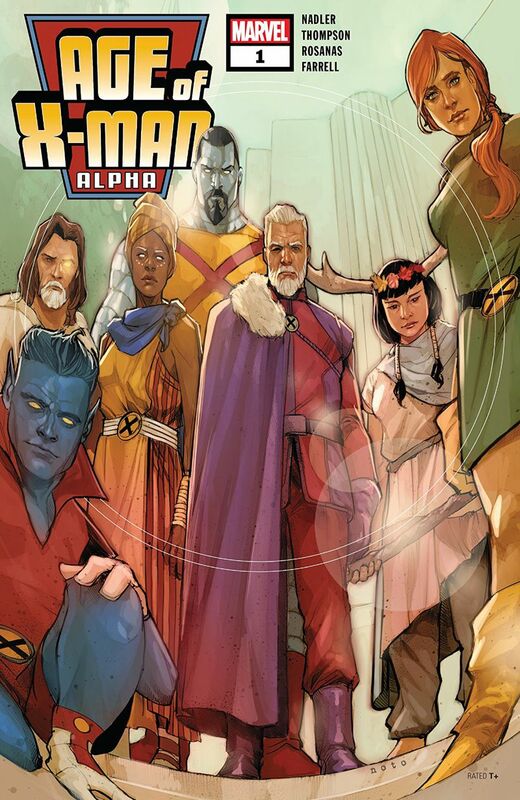 Age of X-Man Alpha #1 – Zac Thompson & Lonnie Nadler (writers) Ramon Rosanas (art) Triona Farrell (colours) VC’s Clayton Cowles (letters). First of all, I loved the art in this $4.99 US one shot. It’s clean and crisp and the colours are solid and pretty. Imagine a world where everyone is a mutant. No more being feared and hated. Homo Superior has finally found its Utopia. You know how long that’s going to last right? 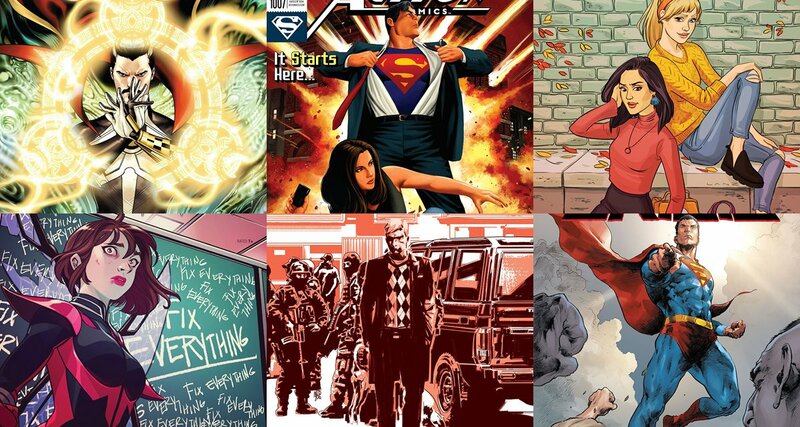 This story spins out into 6 new books hitting the racks every week. Here they are in order: The Marvelous X-Men, Nextgen, The Amazing Nightcrawler, X-Tremists, Prisoner X and Apocalypse & The X-Tracts. X-Fans are going to have to take out a loan to keep up. I am no longer a follower of the team but this looks like an interesting possible future for mutants if you’re so inclined. 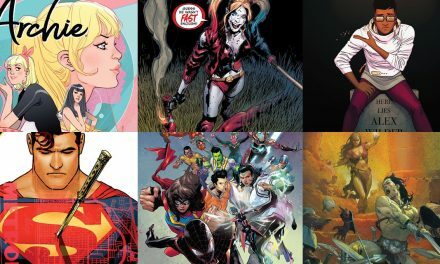 Heroes in Crisis #5 – Tom King (writer) Clay Mann (art) Clayton Cowles (letters). We’re still no closer to finding out who killed those super heroes but that sure is a nice speech that Superman gave to reassure people. His message is that super heroes can suffer from mental health issues but don’t worry folks. I would be scared if we were depending on Booster Gold and Harley Quinn to save the day. 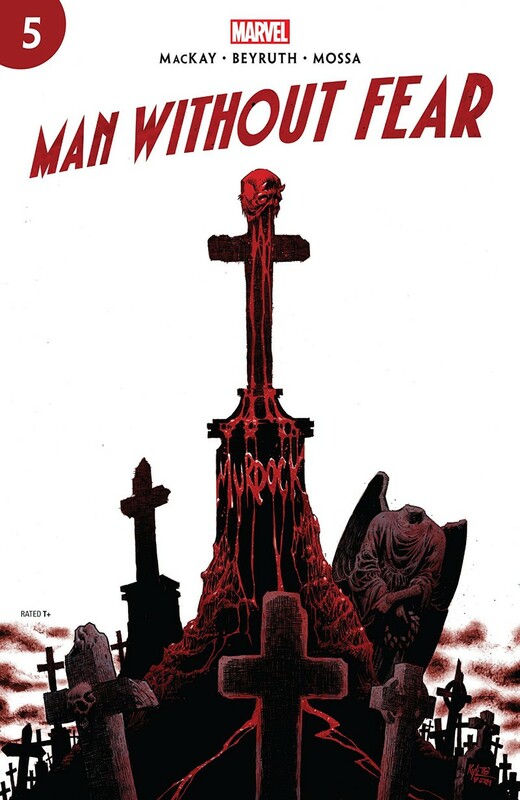 Man Without Fear #5 – Jed MacKay (writer) Danilo S. Beyruth (art) Andres Mossa (colours) VC’s Clayton Cowles (letters). This final issue tells us what pain is for. For Matt Murdock it keeps him going. He’s like a Timex watch. Takes a lickin’ and keeps on tickin’. This is an example of a story that overcame my aversion to art that I wasn’t fond of. I really wanted to find out how Matt gets back to fighting form. I’ll read Daredevil #1 when it hits the racks February 6 with the hope that the relaunch will bring me back to the fold of devil worshippers. 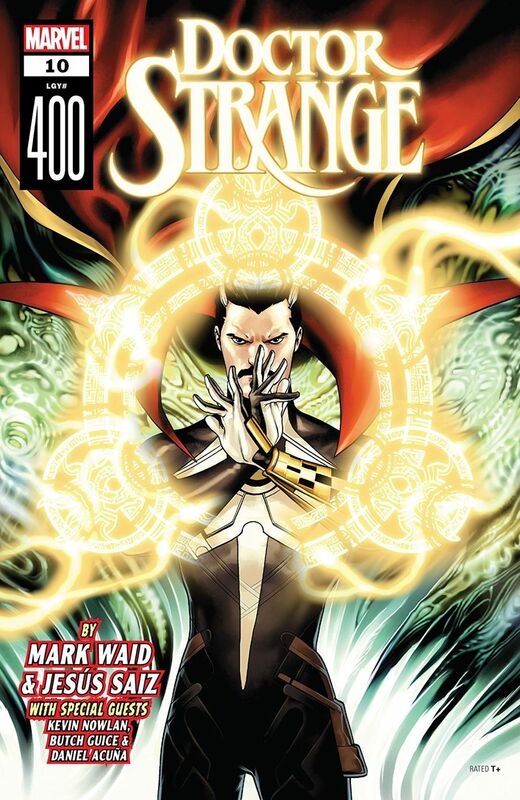 Doctor Strange #10/LGY #400 – Mark Waid (writer) Jesus Saiz (art) VC’s Cory Petit (letters). I get that Marvel wants to make the 400th issue of this title a special edition with added material but I would have rather paid $3.99 US for just the main story without having to shell out $5.99 US for the filler stories in the back. The main story amused me with its similarity to an episode of the TV show “The Good Place” with Doctor Strange having an encounter with the Head Accountant. Just as with Life, the only certainty with Magic is taxes and death. If you don’t pay your magical taxes, you’re dead. Here are the back-up stories in case you’re interested. “House Call” with Butch Guice (art) and Carlos Lopez (colours) teaches a lesson about bullies. “The Lever” with Kevin Nowlan (art) and Jim Campbell (colours) rehashes the origin story where Stephen meets The Ancient One and Baron Mordo. “Perchance” with Daniel Acuna (art) has the good Doctor dealing with the bad Nightmare. Plus a two-page pin-up by Tom Palmer. I wish it had been one drawn by the retired George Perez.